Access to sound environmental data and information is universally recognised as essential to achieving sustainable development. A lack of access to this information in developing countries around the world has challenged policy-makers to make vital decisions without the right data. In February 2002, the United Arab Emirates (UAE) was listed as 141 out of 142 countries in Environmental Sustainability Index (ESI), produced by the World Economic Forum – a ranking that shed light on gaps in the approach and criteria used to develop the ESI rankings. It was established that the application of non-region specific measures and associated indicators presented skewed results. The need to ensure readily accessible, accurate and relevant data from which to inform sound environmental management, monitoring and performance became clear. As a result, the Abu Dhabi Global Environmental Data Initiative (AGEDI) was inaugurated by His Highness Sheikh Khalifa bin Zayed Al Nahyan in 2002 at the World Summit on Sustainable Development (WSSD) in Johannesburg. 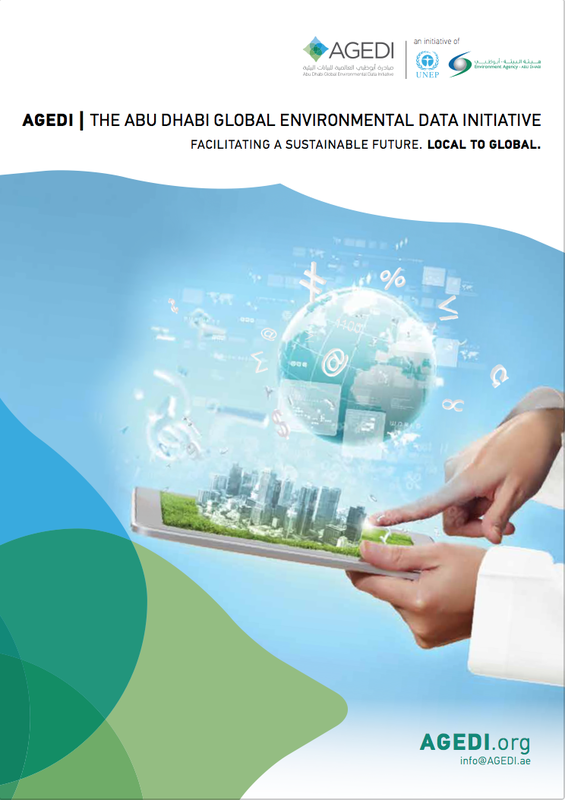 AGEDI works closely with its founders, the United Nations Environment Programme (UNEP) and Environment Agency- Abu Dhabi (EAD) towards achieving sustainable development.